Cookbooks are an easy gift for the holidays, but which ones to get? The onslaught of new cookbooks is never ending. My in-depth researched has taught me two things: avoid the new seasonal cookbook from your favorite Food Network 'chef' (it's like the crappy Christmas album bands put out) and stay away from celebrity cookbooks. I don't know why people think that recipes from Smash Mouth, Al Roker, or Kris Jenner are going to be good. They're not. Don't even get them as a 'funny' gift for a friend. They're just going to get thrown into the trash where they belong. You wouldn't buy Mario Batali's guide to tennis, would you? Instead, you want to go for quality cookbooks. The kind that you'll be able to reference for years and years. Here are my recommendations for 5 great cookbooks that will make great gifts for your friends and family—or, better yet, for you. I would go so far as to say that this book is not only the best cookbook of 2015, but also a modern home cook necessity. Kenji Lopez-Alt is the Managing Culinary Director of Serious Eats, the best food website there is, and the work he put into this 1,000 page epic is nothing short of impressive. He explains the science behind his recipes and techniques, helping the home cook have a better understanding of what makes the food taste great. If reading all those words is too hard, skip the explanations and just hit the recipes. I guarantee you'll see an increase in cooking compliments. Get this—it's the 21st century's Joy of Cooking. I was tired of scouring every cookbook and website for vegetable dishes that weren't just roasted or sauteed with some butter, which led me to Deborah Madison's vegetarian cooking bible. Finally, I could do something interesting with all my CSA veggies! A huge chunk of the 700-page book is separated by vegetable, which makes deciding what to do with that kohlrabi much easier. The book also includes recipes for a plethora of sauces, dressings, desserts, and more. Just because it's vegetarian doesn't mean it's healthy. 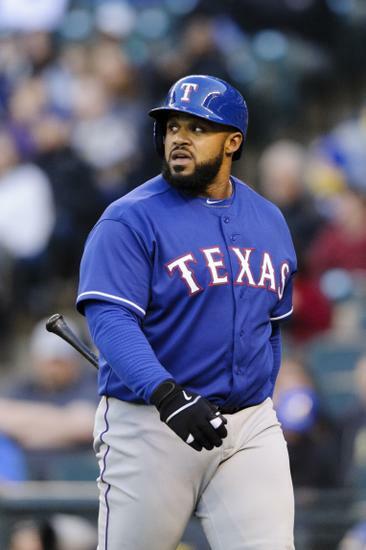 Just look at Prince Fielder! This is a must have for anyone looking to impress with fine Southern cooking. Multiple award winner Hot and Hot Fish Club is located in Birmingham, Alabama and owned by the husband and wife team of Chris and Idie Hastings. The book is uniquely separated by month, which results in recipes that are focused on showcasing the best of each season. This isn't a book for the casual home cook. If you're the kind of person who likes to host dinners that your friends will talk about for weeks, this is for you. This book came out in 2013, but I didn't get my hands on it until December 2014, just after a phenomenal meal at chef Ed Lee's Milkwood restaurant. I bought it for one reason: I needed to know how to make his "Black BBQ," an intense mix of Asian (black bean paste, sesame oil) and Southern (bourbon, cola) ingredients that resulted in a thick, spicy BBQ sauce. It has remained one of my secret weapons ever since. The book is full of great stories and even better recipes, a mix of Asian and Southern food that speaks to me like few other combinations can. His Filipino adobo fried chicken and waffles is incredible, and his Bourbon-and-coke meatloaf has become a family staple. I wasn't sure that a book solely focused on tacos was going to be worth getting, but boy, I was wrong. Stupak's writing reminds me of my own, so of course I enjoyed that, but his passion for tacos and creativity shine through. The first half the of the book runs through how to properly make corn and flour tortillas (including a version using raw chicken), as well as how to make a ton of salsas, moles, and other sauces. The second half is taco focused, ranging from classics like carnitas and barbacoa to a cheeseburger taco, a buffalo chicken taco, and a pastrami taco. I'm slowly making my way through it, but everything I've made out of it so far has been incredibly delicious. Plus, Evan Sung's photos are amazing.